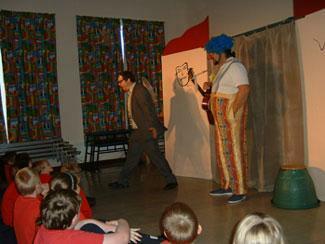 The children thoroughly enjoyed a thrilling and exciting performance by 'The House of Fun Theatre'. The play was called 'Lost Lionel' and had an anti-bullying message. There was slapstick humour and opportunities to join in with different songs. The message 'You don't have to be mean to have fun' came across very well. 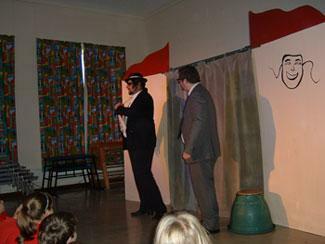 Many thanks to the PTFA who funded this performance.